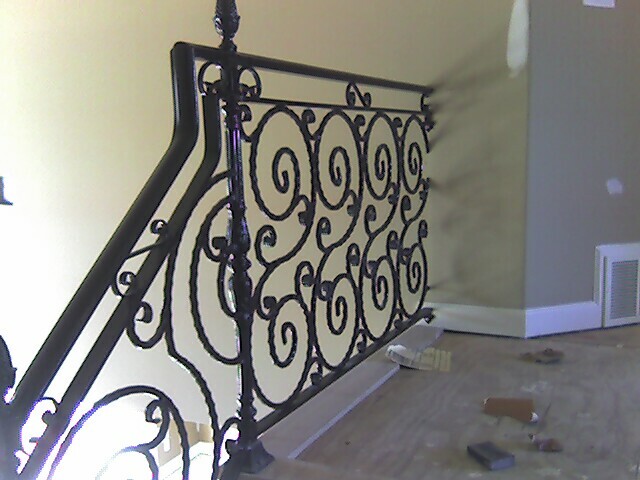 Ornamental iron railing from Custom Fence Company can transform an ordinary stairway from plain to spectacular. Our custom fabricated stair rails and railing are available with a massive array of different inserts, styles, shapes, colors and finishes. 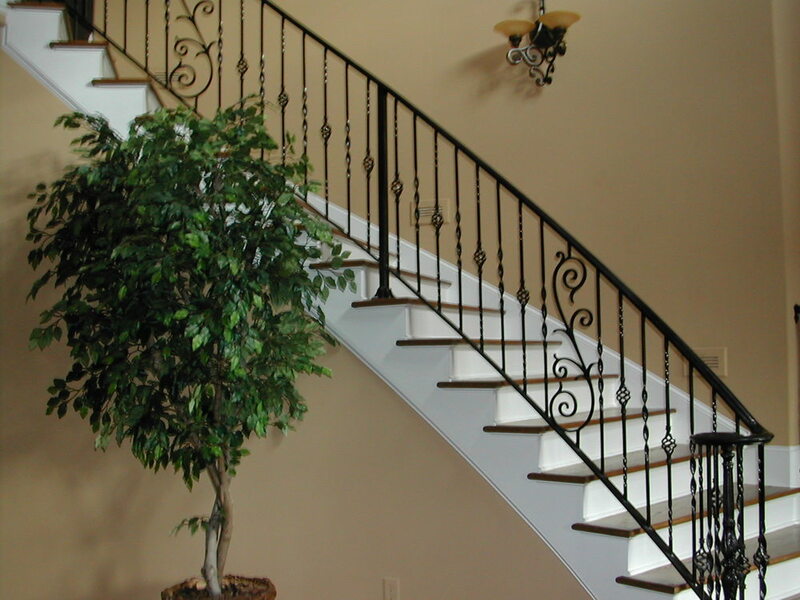 Let Custom Fence Company help with the design of a unique railing or banister for your stairway, walkway, porch, balcony, stoop, or even a complete staircase. We will gladly design, build and install your custom railing or staircase to compliment your home or business and reflect your good tastes for today and for future generations. Installing ornamental iron can have a dramatic impact on the look and feel of your home. Exterior railings not only provide safety for outdoor elevated surfaces and steps, but they can beautify the exterior of your home.